Are you in career or life transition? Transition can be hard when the path ahead feels uncertain. It's not easy! Come learn about how thinking styles influence the way you experience your personal and professional life. Decrease mental stress, anxiety, and depression, and invite more calm, peace, and energy through healthy thinking. By the end of this workshop you will be able to identify unhealthy thinking traps, learn how to challenge and balance these thoughts, and learn how mental self-care can influence your success in transition. Caitlin Magidson, LGPC, is a Career Coach at the Johns Hopkins Carey Business School and in private practice with experience in online and in-person counseling and coaching. Expertise as a thought partner includes coaching around career exploration, life design, navigating transition, professional branding, resume creation, networking, LinkedIn, interview preparation, and salary negotiation. She also facilitates career retreats and incorporates mindfulness into her work as she approaches the career conversation from a holistic perspective. Caitlin holds a Masters in Mental Health Counseling from the Johns Hopkins University School of Education, Coach Certification through The Academies, and is trained in StrengthsFinder and MBTI career assessments. She empowers clients to recognize their strengths, reframe limiting beliefs, and build confidence in achieving their personal and professional goals. 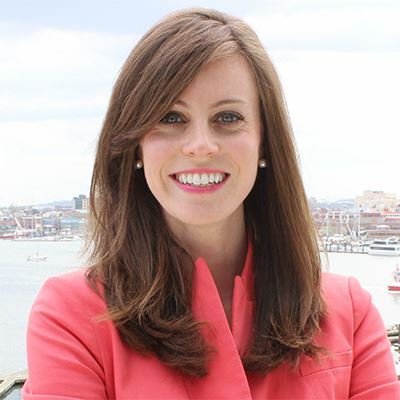 Active in her professional community, Caitlin is a member of the American Counseling Association, Maryland Career Development Association, and National Career Development Association. She has been a presenter at both local and national conferences and currently serves as the Maryland Chair of AMCAP.